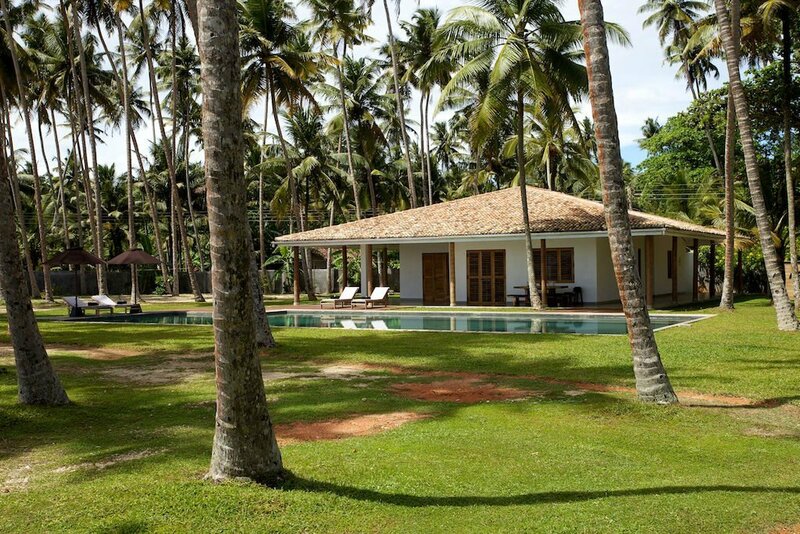 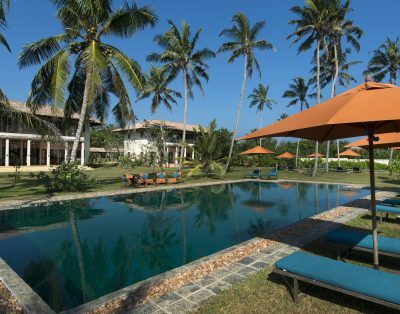 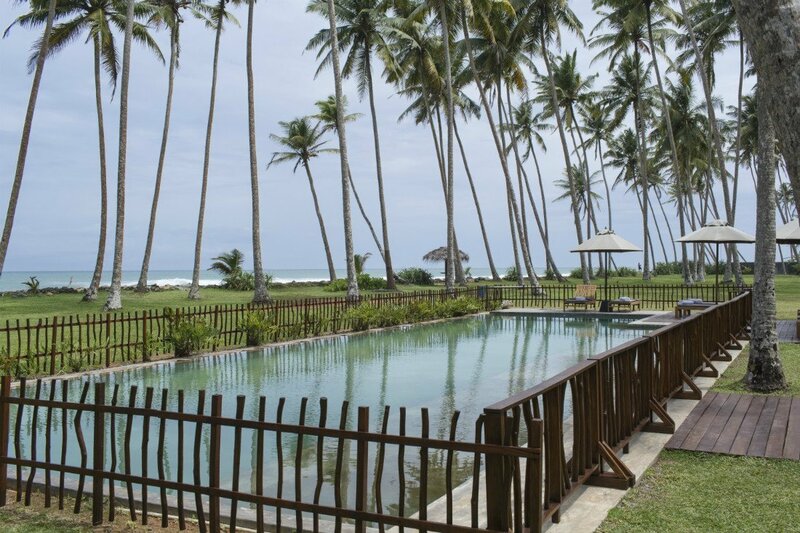 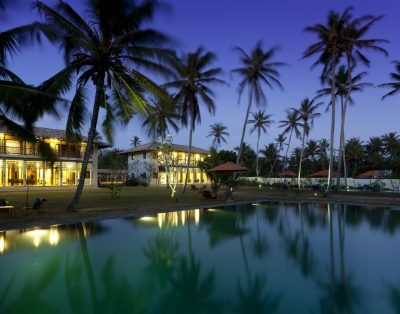 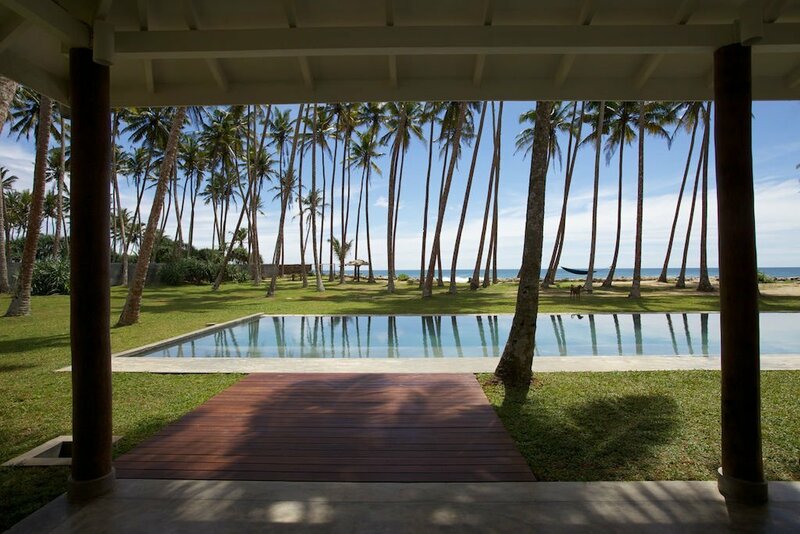 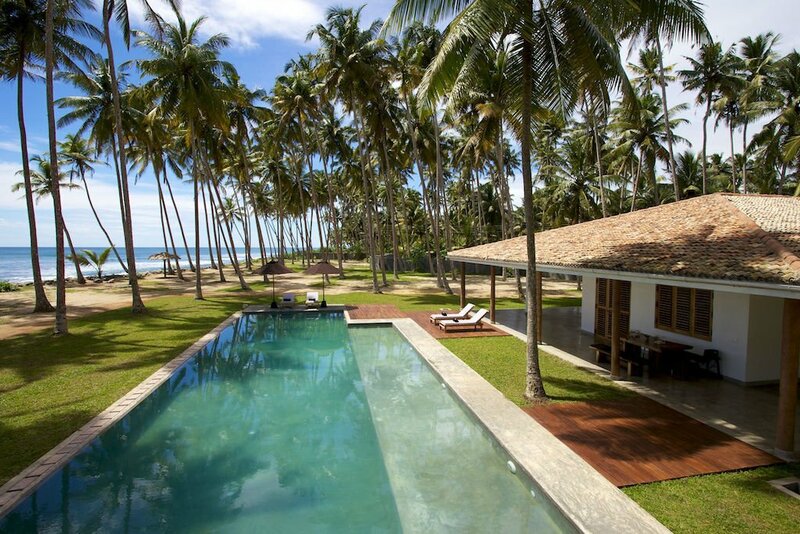 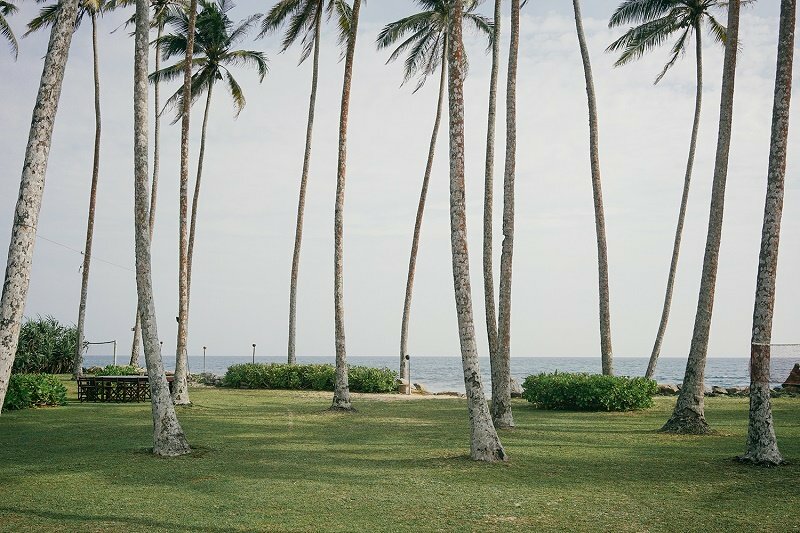 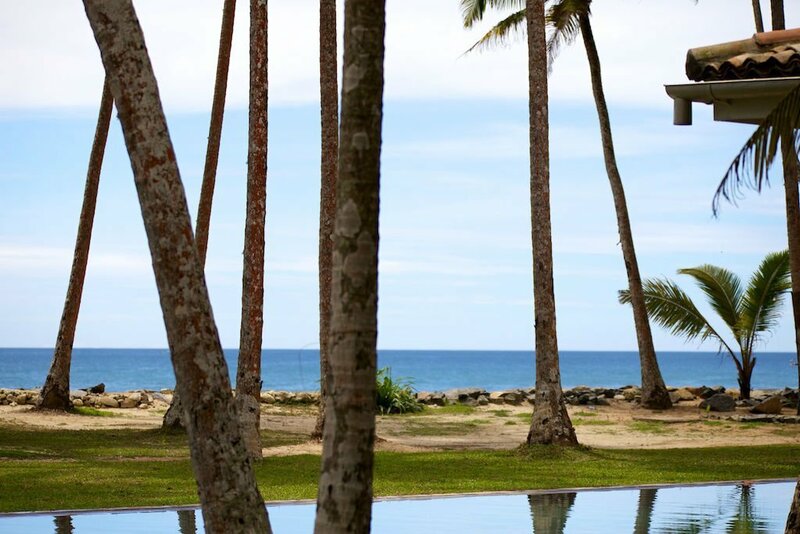 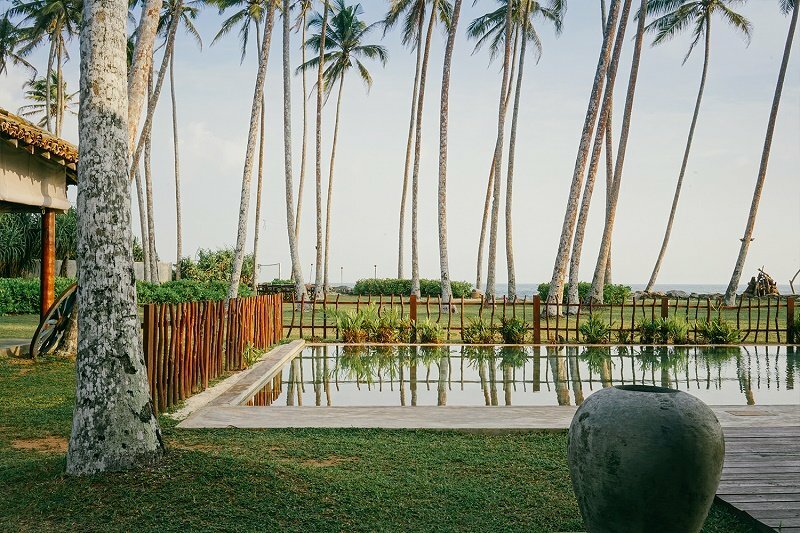 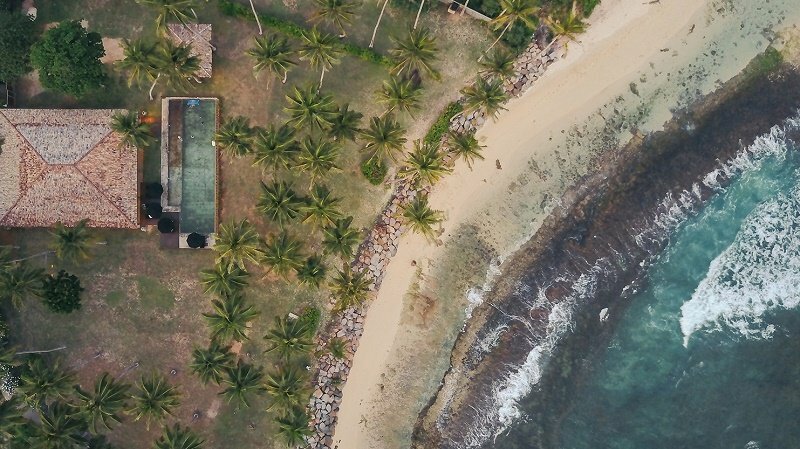 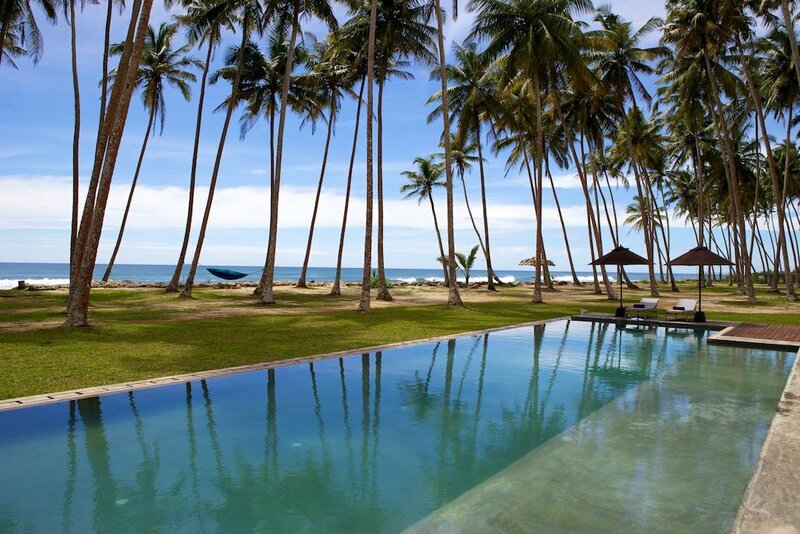 A Private Family beachfront Villa with a swimming pool in Mirissa, South Coast of Sri Lanka. 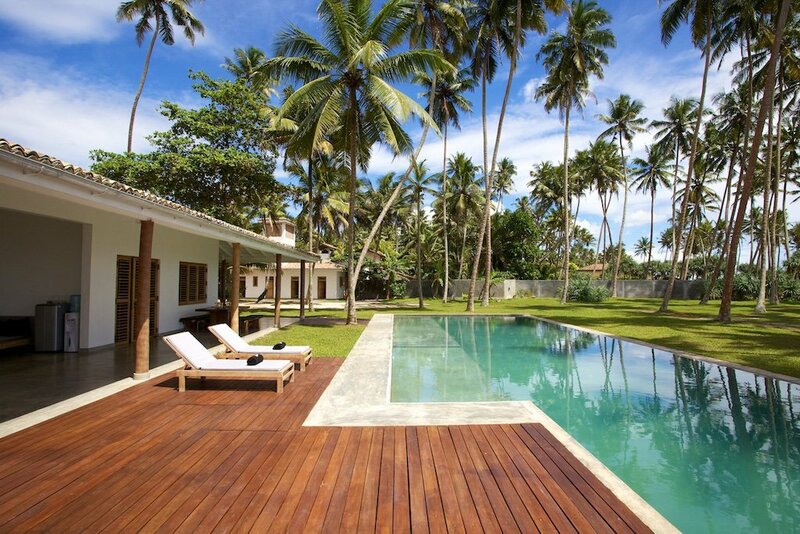 Ideal for Surfers. 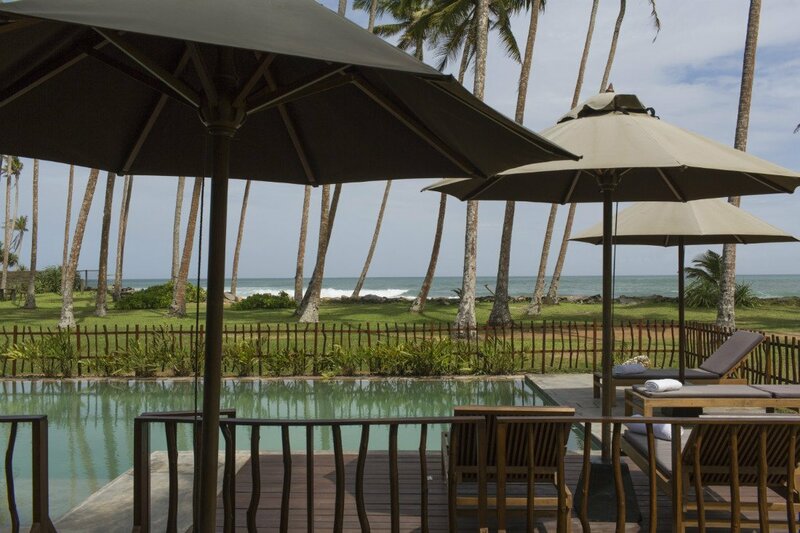 Christmas and New year Bookings | Change over must be 27th to 29th December. 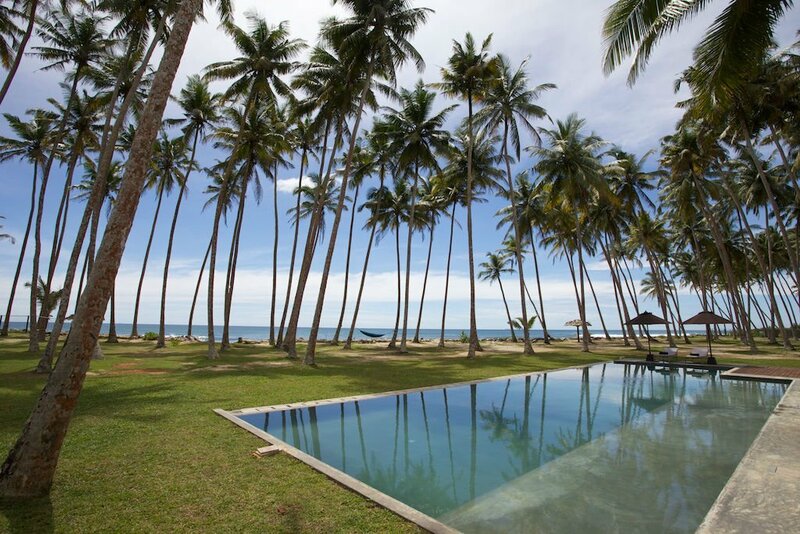 Please enquire for real-time availability. 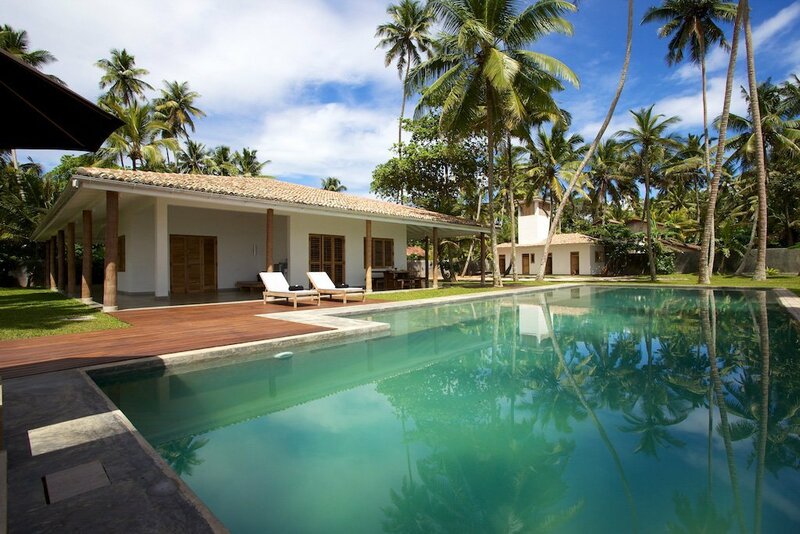 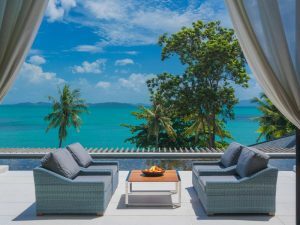 This unique luxury boutique villa offers 4 en-suite bedrooms within a spacious sea front setting and a 20 metre pool. 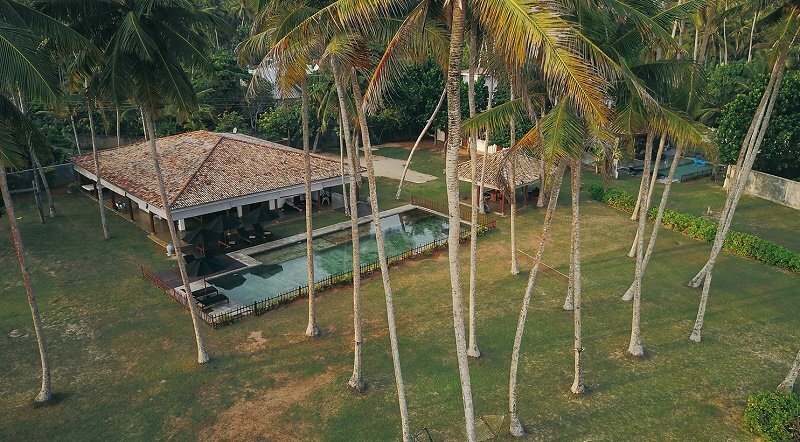 The Property is protected with a high wall on all sides expect for the beach front and the large garden is ideal for children to run around and play. 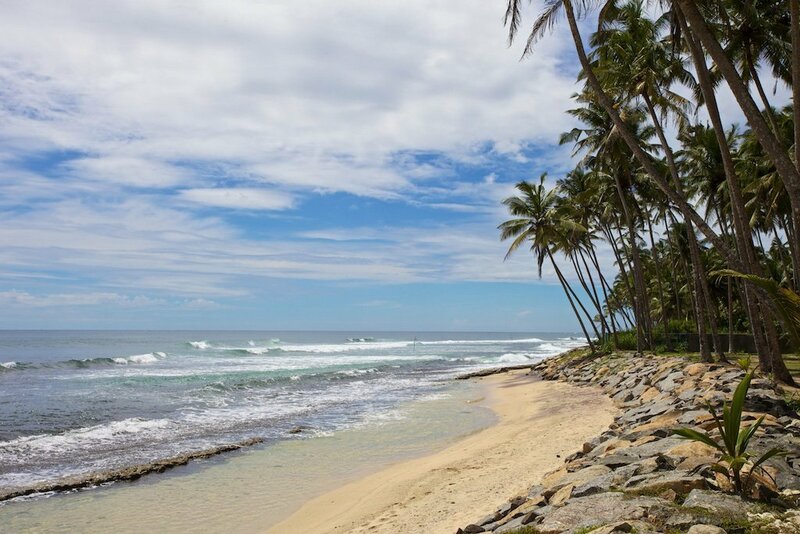 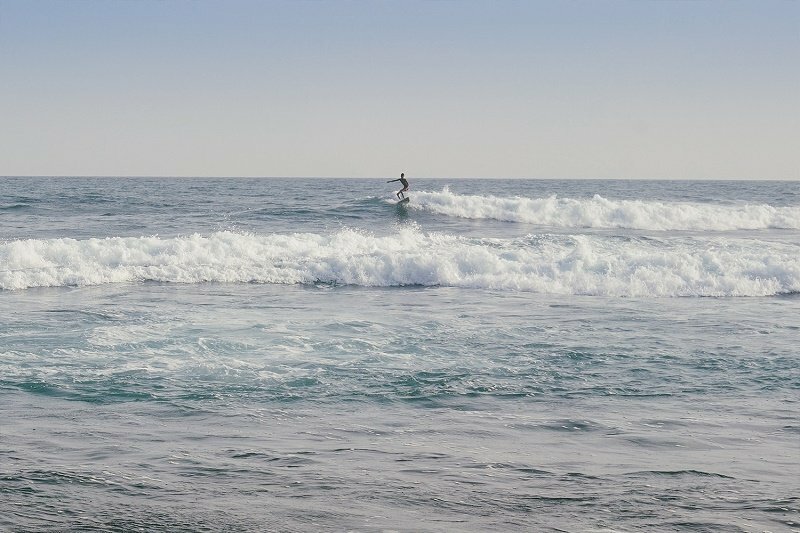 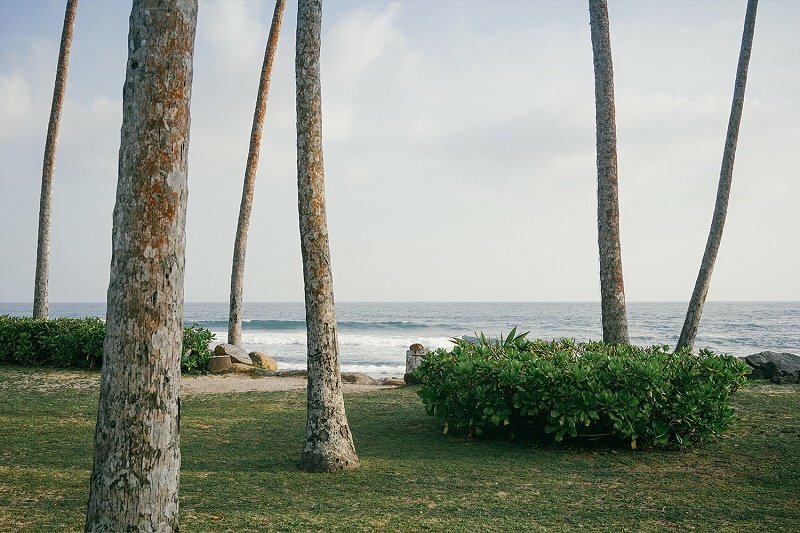 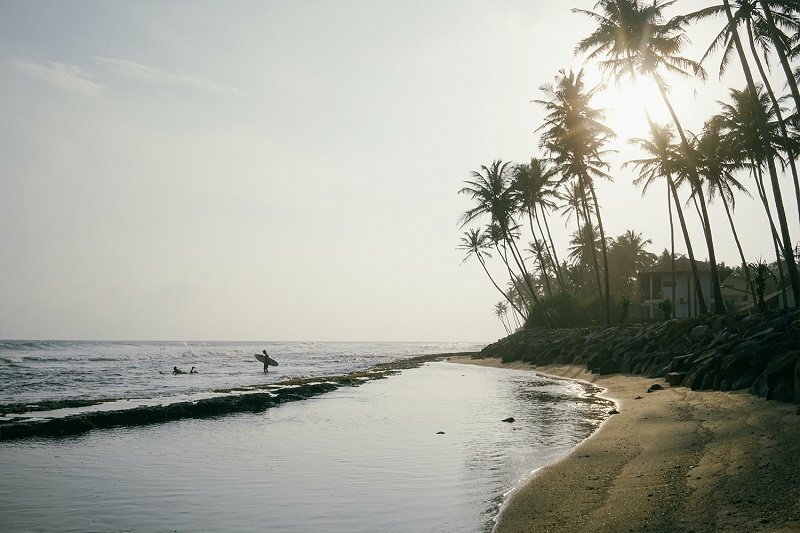 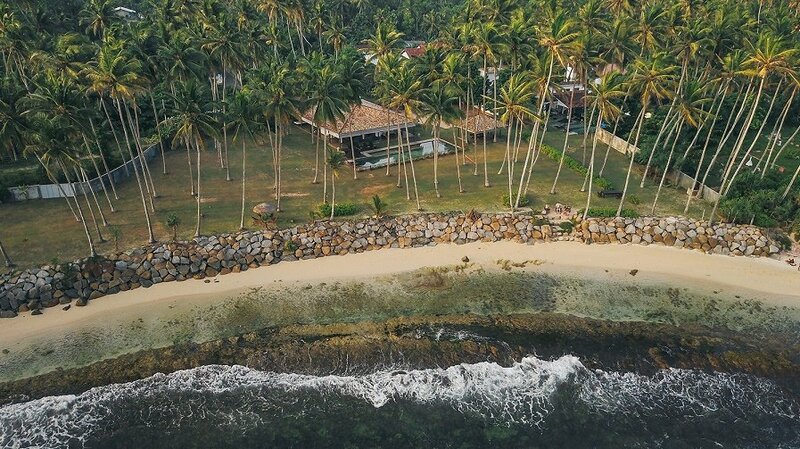 The undiscovered stretch of beach here are charming, and with Mirissa Bay just around the corner surfers of all abilities are attracted to the handful of excellent surfing breaks nearby. 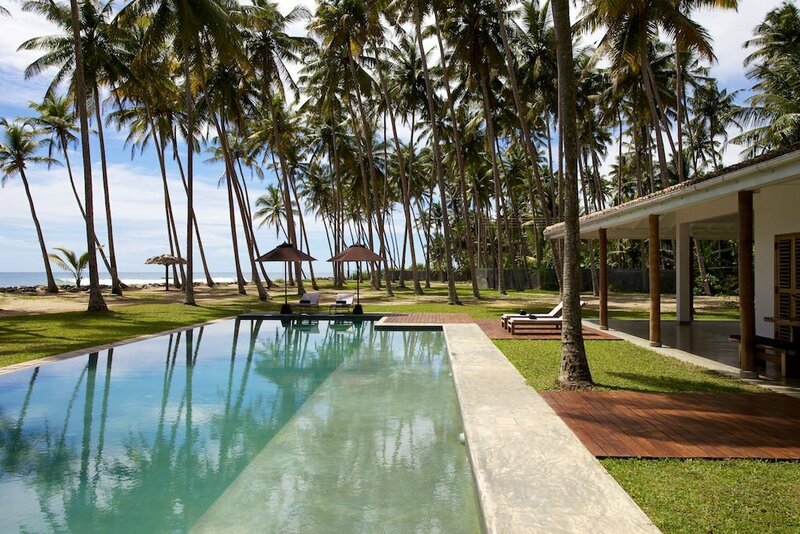 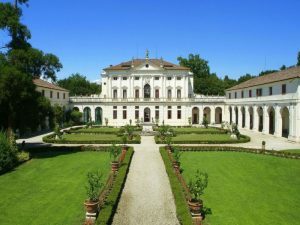 The Villa shares the property with its sister house Villa 12. 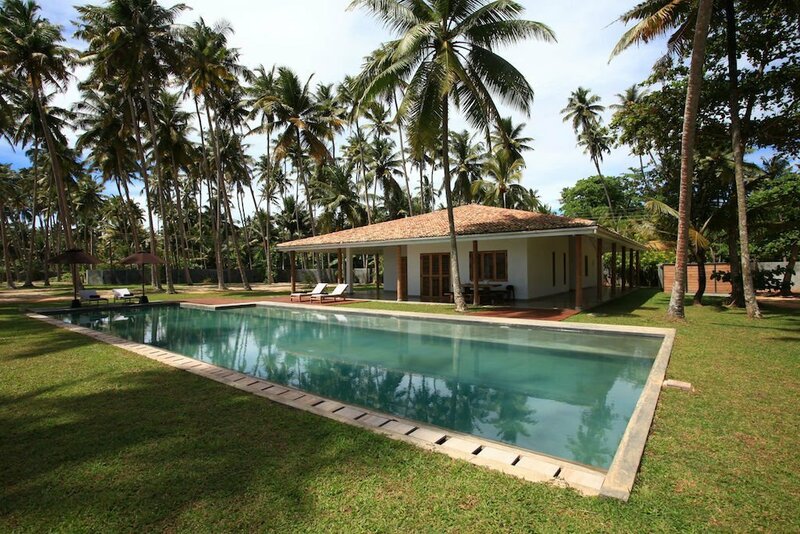 Can be rented together for larger groups. 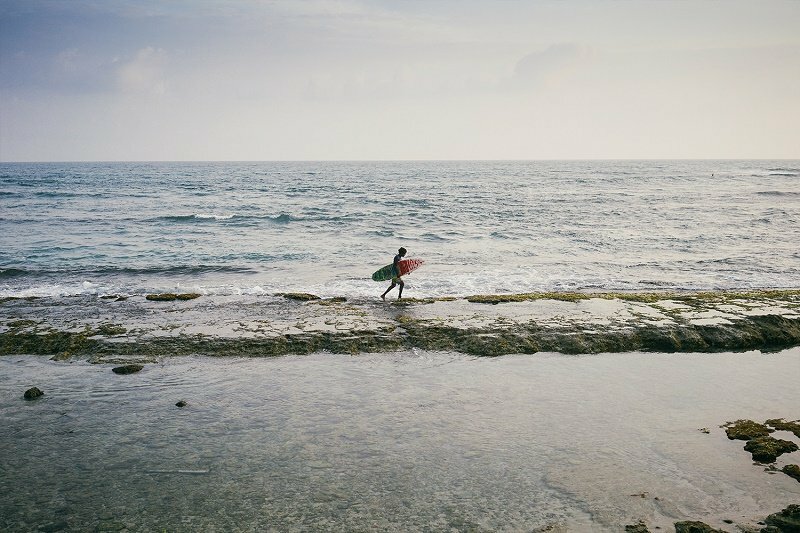 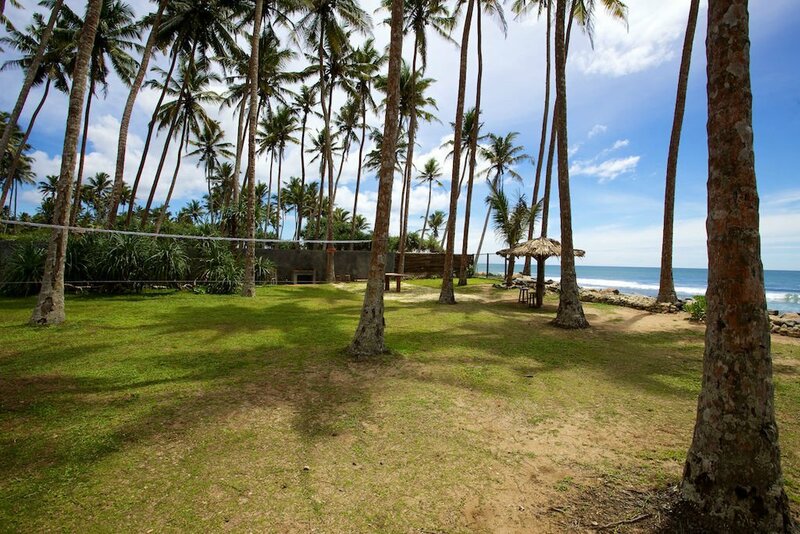 CLOSEST SURFING BEACH: Madiha Beach, 10 mins walk or in front of the villa. 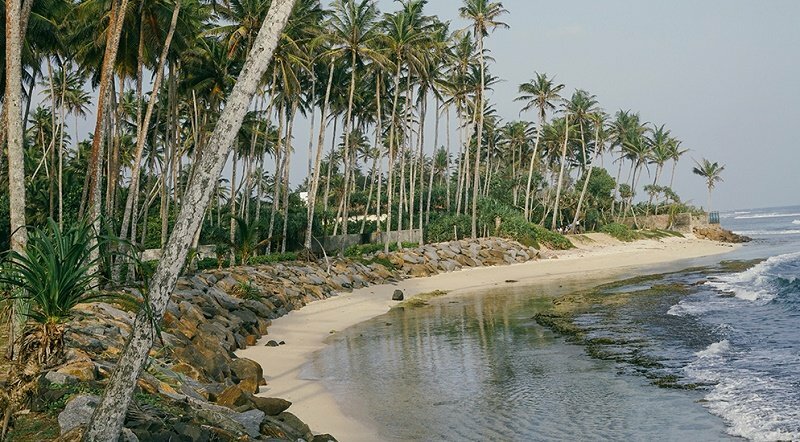 CLOSEST SEASONALLY SAFE SWIMMABLE BEACH: Madiha Beach, 10 minutes walk. 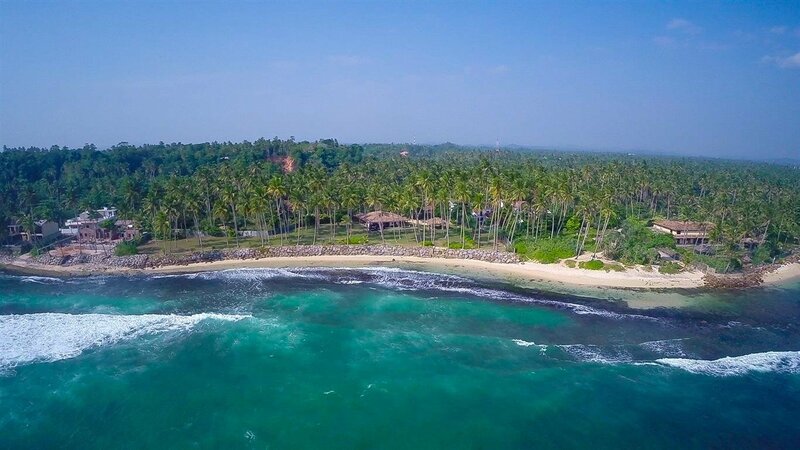 Mirissa Beach, 10 mins tuk tuk ride. 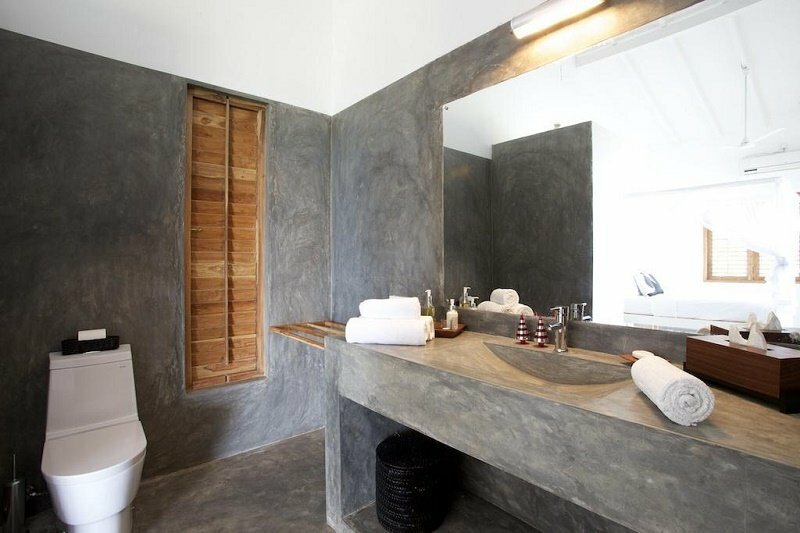 BEDROOM 1: Situated to the front of the villa just footsteps from the swimming pool, this spacious double room comes with built-in cupboards and an open-plan polished cement-finished bathroom with shower. 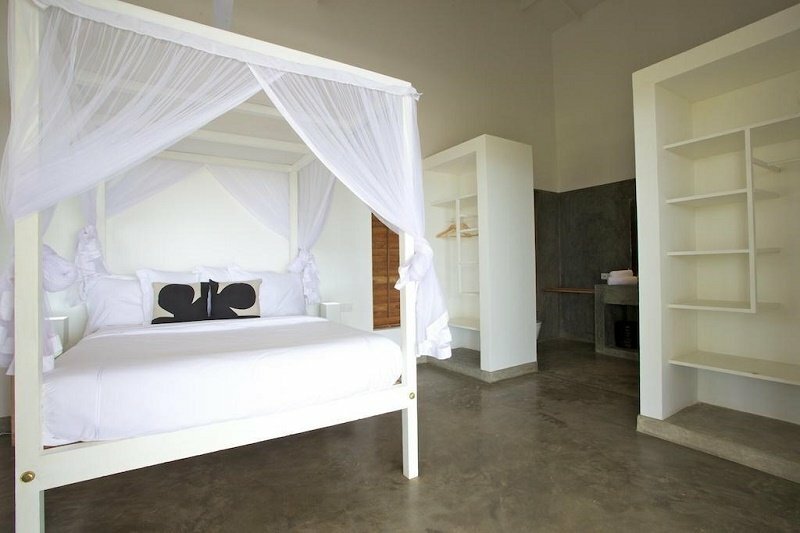 BEDROOM 2: Located to the side of the house and opening onto the side veranda, this double bedroom boasts views of the garden and sea. 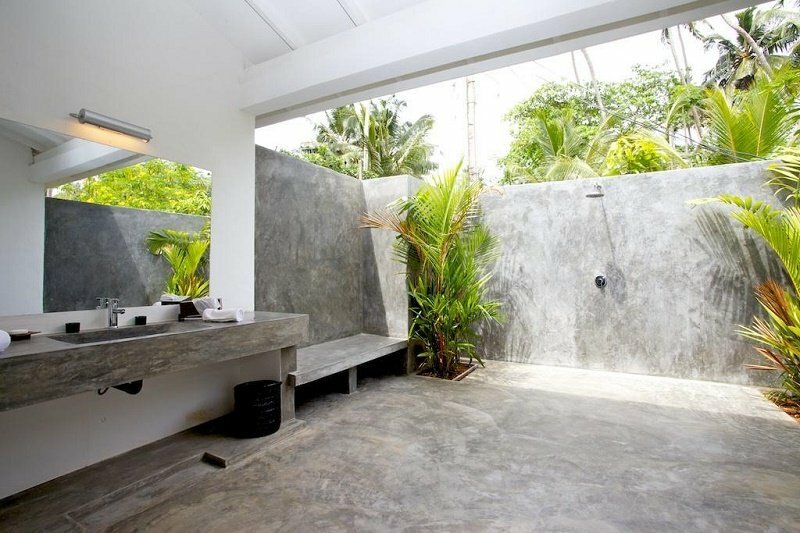 The attached bathroom is also finished in smooth cement. 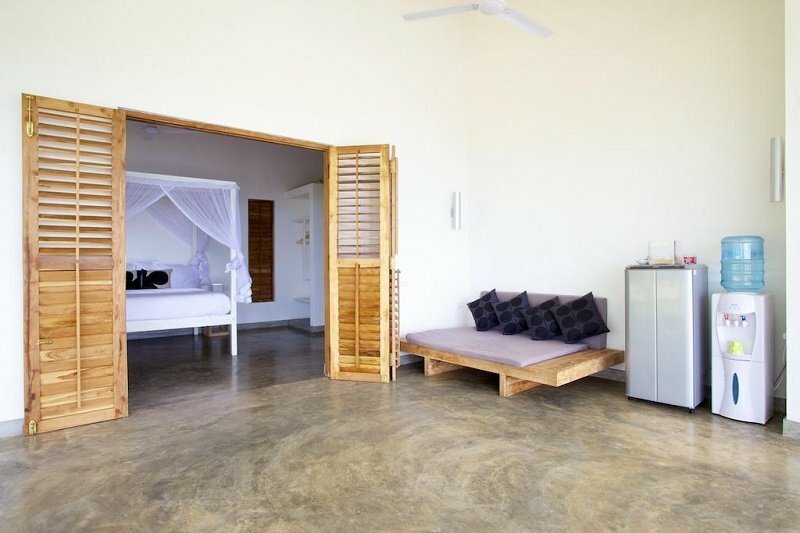 BEDROOM 3: This double bedroom to the rear of the house boasts an ensuite bathroom with open-air shower area and a connecting door to bedroom four, making it a good choice for families. 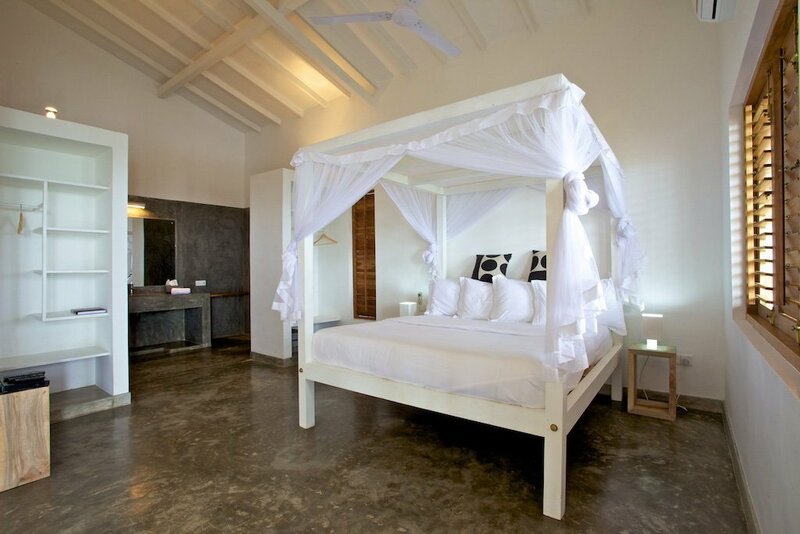 BEDROOM 4: An interconnecting door links this twin room with bedroom 3 making it a suitable choice for families. 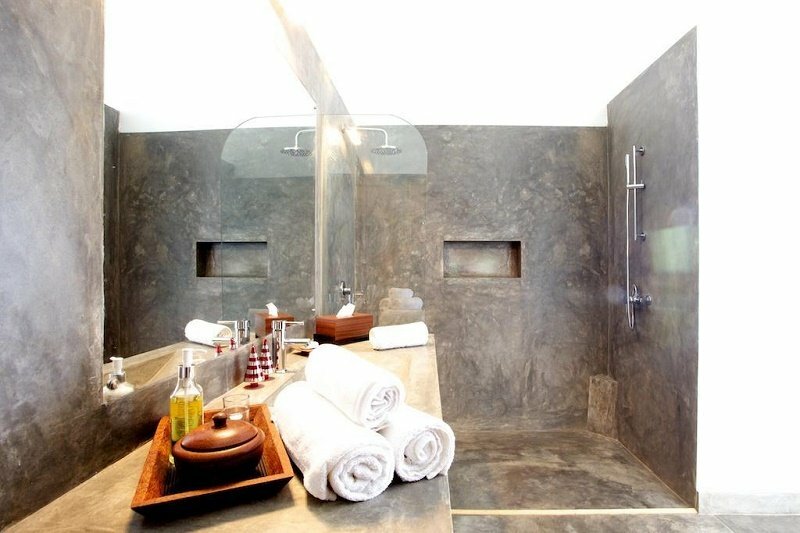 The bathroom is particularly large and also features an open air shower. 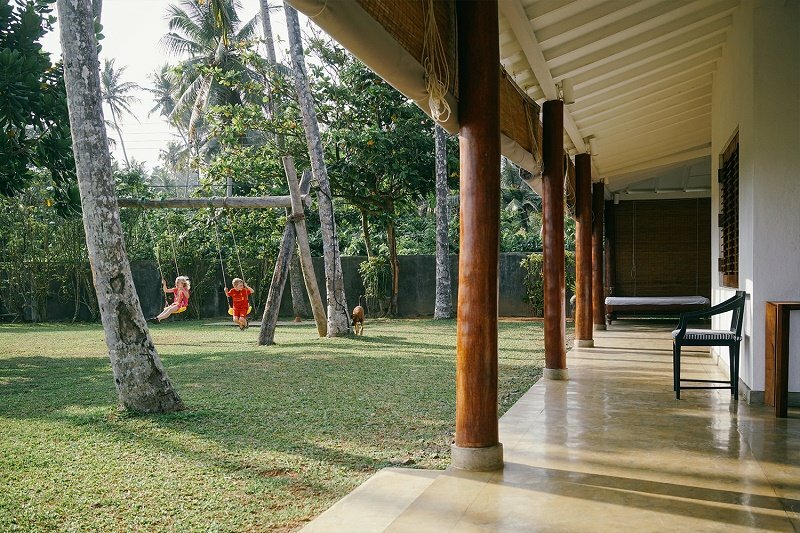 ENTIRE VILLA: The whole villa can be booked for families or groups of friends looking for maximum privacy. 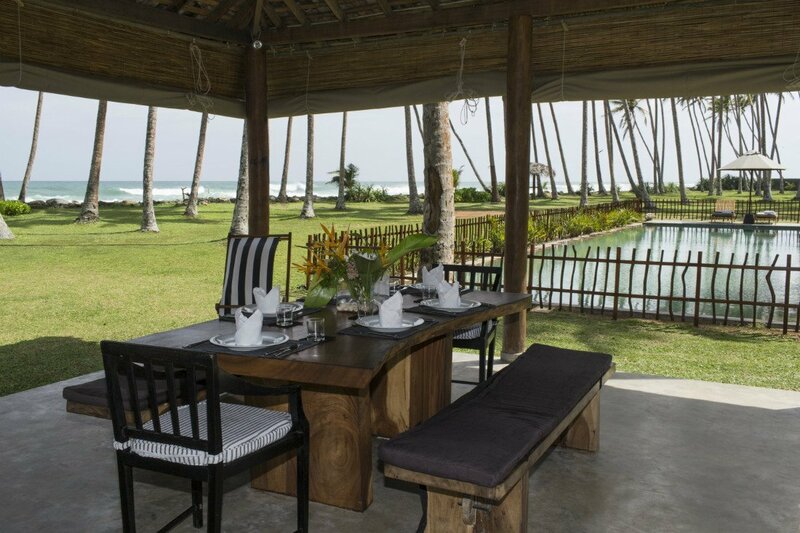 The property comes with four bedrooms, a wraparound living and dining veranda, a satellite TV with cable channels and DVD player, a swimming pool, a kitchen, a large two-acre garden and a staff of three. 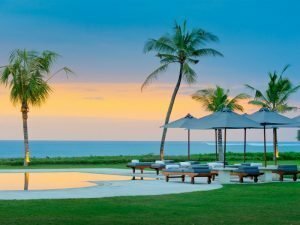 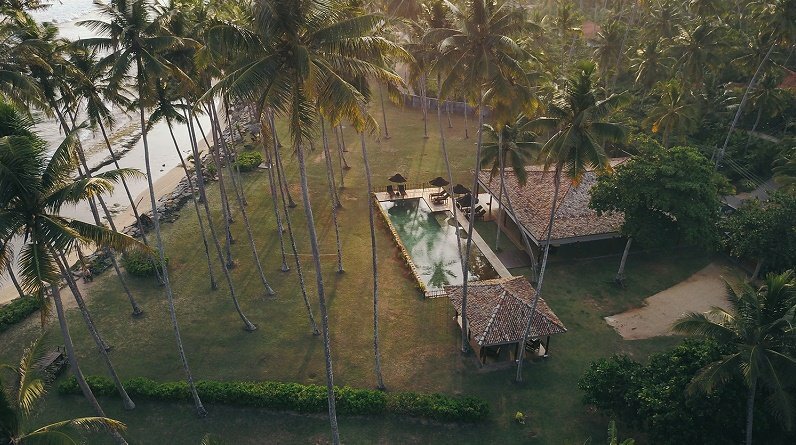 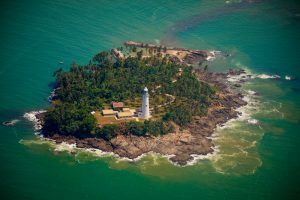 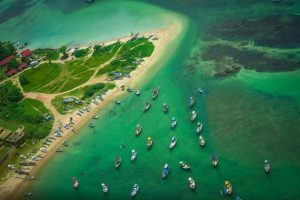 The villa is staffed with a manager, a housekeeper and a cook, who can prepare a number of local dishes, including delicious Sri Lankan Rice and Curry spreads, plus a selection of international cuisine. 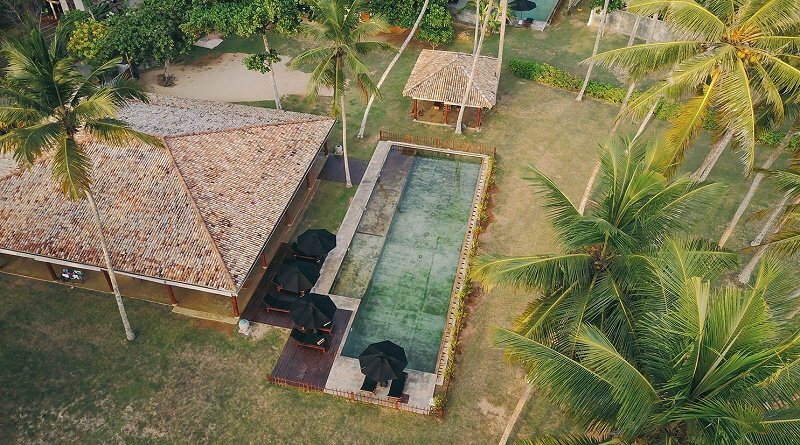 He can also prepare fish, seafood and snack dishes according to your preferences, and it is best if you inform the manager every morning of your meal requirements for the day. 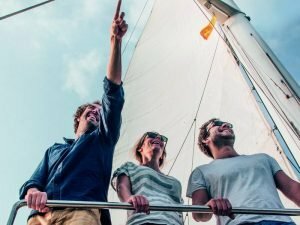 15% Taxes it be added to the rates. 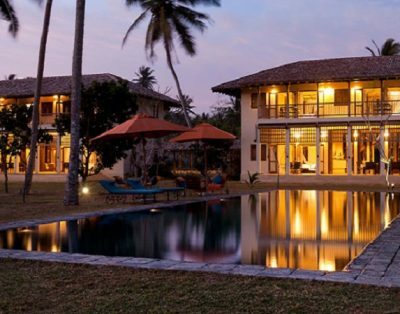 Recently some villas add a 10% Service charge, such additions will be confirmed at the time enquiry, if applicable.